LONDON (AFP) – British police were under investigation Sunday over the death of Raoul Moat after their dramatic armed stand-off ended with them firing a stun gun at him and the fugitive shooting himself dead. One of Britain's biggest ever manhunts ended on Saturday when Moat killed himself after a six-hour siege -- though it is unclear whether he pulled the trigger before or after being fired at with the Taser electric shock device. British police have been criticised in recent years over high-profile fatal incidents, notably the shooting of Brazilian electrician Jean Charles de Menezes in the aftermath of the 2005 London bombings, and the death of a man in last year's G20 protests. The Independent Police Complaints Commission confirmed they were looking into Moat's death. "A full investigation will now be carried out and we will publish our findings in due course," said IPCC Commissioner Nicholas Long. The IPCC was already probing why police failed to heed warnings from prison authorities that Moat would pose a potential threat to his former partner when he was released after serving an 18-week sentence for assault. The use of Tasers has always been controversial in Britain. The stun guns fire two electric barbs and deliver a disabling 50,000-volt shock, which can penetrate clothing up to two inches thick. It leaves targets incapacitated and easier to arrest. After seven days on the run during which he apparently shot and wounded his ex-girlfriend, killed her new partner and injured a policeman, armed police surrounded Moat in the village of Rothbury in northeast England. 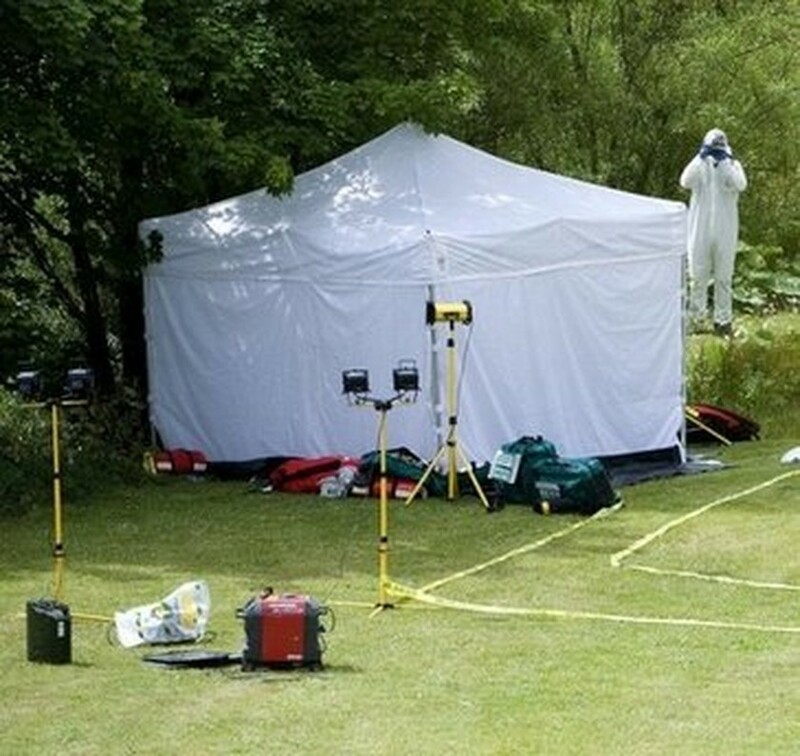 Moat, 37, had been spotted on Friday walking along a river on the edge of the picturesque village, which has been the focus of the massive search. Newspapers speculated Sunday that he had been hiding in a drainage tunnel right by where he was snared. Armed officers cornered the former nightclub bouncer and father of three children in a field amid scenes of panic as local residents were told to stay inside their homes and lock their doors. In a news conference, Sue Sim, the temporary chief of Northumbria Police, described how the stand-off had unfolded. "Negotiators were brought in to speak to him. For several hours negotiators were working to apprehend him safely," she said. "At around 1.15 am, from information available at the moment, it appears the suspect shot himself. It appears no gunshots were fired by police officers. "Right up until that time, police officers were striving to persuade Mr Moat to give himself up peacefully. "During this time, officers discharged Taser, however, this did not prevent his death." Moat was pronounced dead in hospital at 2:20 am. In a bizarre twist, former England footballer Paul Gascoigne arrived on the scene in a taxi, claiming to be a friend of Moat and offering to negotiate. "He was a gentleman. Someone must have wound him up," the former Tottenham midfielder told Real Radio. Gascoigne -- who has alcohol issues -- turned up with a dressing gown, a jacket, some chicken, bread, a can of lager and two fishing rods. "Me and him could sit and chat," he said. Police did not let him through the cordon. Soon after leaving prison, Moat shot and wounded his former partner, Samantha Stobbart, who is also the mother of one his children, killed her boyfriend, and shot and seriously injured a policeman in the Newcastle area. Moat told police he had a grudge against them, apparently fuelled by the fact that Stobbart had lied to him that she was dating a policeman, in a bid to persuade him to stay away from her. The shootings came just weeks after taxi driver Derrick Bird killed 12 people before turning the gun on himself in Cumberland, northwest England. 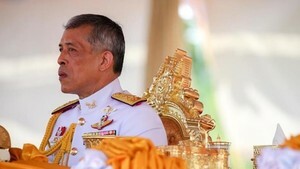 More than 200,000 people are expected to attend ceremonies during the coronation of King Maha Vajiralongkorn – Rama X in May, estimated Thai authorities.